We took a short weekend holiday break to Kei Mouth which is located about 1 hours drive north of East London and is effectively the start of what is known as the Wild Coast. We took the N2 route out of East London heading towards Mthatha before turning off right towards Kei Mouth. From the N2 turn off it is approximately a 30km drive down to Kei Mouth. The road down is surprisingly very good with tarmac all the way down that takes a scenic route through rolling hills before you catch sight of the coast. We were staying at a place called Whispering Waves which is a very apt name as our rustic cottage overlooked directly onto the waves breaking on to the beach below us. Kei Mouth has a few shops, post office and supermarket, restaurant and a garage and is well geared up to serve the holiday makers that come here to stay - many on a self catering accommodation basis. It is advisable to travel to this area in a 4x4 as there are lots of off-road dirt tracks where you can drive and explore this rugged coastline. We took a drive down to the Kei River Mouth on the Saturday afternoon and tried our hand at fishing off the rive bank. Sadly although the fish were biting we only caught barbel and not the cob which we were after. The weather over the whole weekend was lovely but rather chilly in the evenings which is to be expected in late May. On the Sunday morning we took the river crossing (only R120 per car return trip) over the Kei River to explore the coast further up and visited the Trennerys Hotel which is a lovely hotel set high up overlooing the Indian Ocean. The Trennerys is a popular holiday resort with lovely accommodation, swimming pool and tennis court plus play areas for the younger ones. They have a very nice bar with full size snooker table and DSTV. From the hotel you can walk down to the lagoon and beach below. The beach stretches for miles with several coves and inlets visible and it is not uncommon to see the odd cow roaming around on the beach. After our walk we enjoyed a nice cold refreshing drink at the hotel before setting off to enjoy a picnic beside the Kei River. The locals wander about from early morning selling locally made crafts and will even make things to order if they dont quite have what you are looking for. It really was a delight enjoying braais in the evenings whilst chatting and watching the waves breaking in the ocean below our cottage. The whole Wild Coast stretches for a long way northwards from here and is worth exploring. 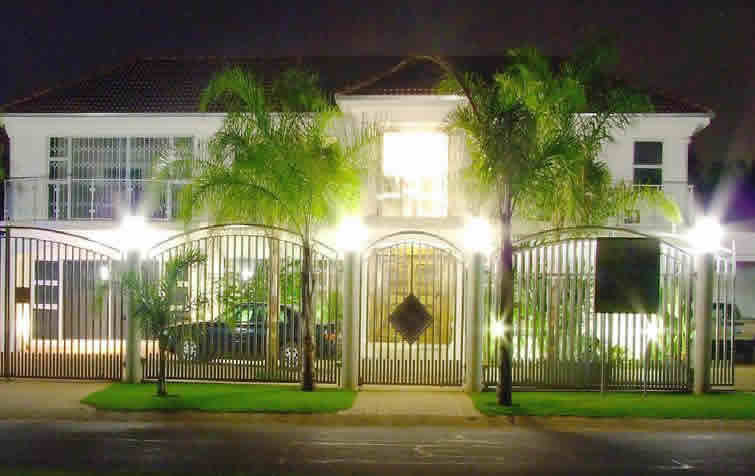 There is a good choice of accommodation from the basic and simple to the luxury end of the market. We recommend you add the Wild Coast to your South Africa Holiday itinerary. You have read this article eastern cape / explore south africa / fishing / south africa travel / wild coast with the title . You can bookmark this page URL http://africathoughts.blogspot.com/2014/05/weekend-in-wild-coast.html. Thanks! Boutique Hotels have become extremely popular over the world and South Africa is no exception. You can now find a good choice of Boutique Hotels in South Africa which all seem to offer something different . Many of these Boutique Hotels are more intimate and offer an ideal romantic getaway or weekend break. They also make ideal wedding function locations offering privacy and lovely settings. Generally these venues have achieved a minimum 4 star status and have been decorated to a high standard and offer something a little extra that your normal hotel. From ideal locations such as Cocomo Boutique Hotel in Hartbeespoort in the North-West Province of South Africa to Casta Diva set on the slopes of the Magaliesberg in stunning peaceful surroundings in Gauteng Province its worth seeking out these venues and to spoil yourselves. Many of these venues are family run and provide real home-from-home touches with the opportunity to recharge your batteries and getaway from the stresses of work and city life. You have read this article accommodation / boutique hotels / holiday / Hotels / South Africa / where to stay with the title . 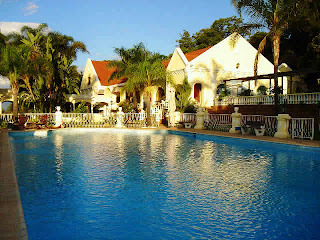 You can bookmark this page URL http://africathoughts.blogspot.com/2014/05/boutique-hotels-in-south-africa.html. Thanks! Hogsback Village is located halfway between Alice and Cathcart in the Amatola Mountain range in the Eastern Cape of South Africa. We decided on a last minute weekend away to the village of Hogsback leaving our house in Port Alfred and travelling on a route that took us through Bathurst, Grahamstown, Fort Beaufort, Alice and finally into Hogsback. We arrived at our accommodation - Maylodge Cottages - located in a wonderful setting just off the main street. There were six of us staying for the weekend in a delightful thatched cottage (Heron House) with extensive gardens surrounding the house. Our two miniature schnauzers had come along and immediately explored the gardens and took an interest in the monkeys high up in the trees. The cottage accommodation comprised three bedrooms and three bathrooms with a lovely open plan living area with a fireplace as the centrepiece. Hogsback is surrounded by mountains and a hikers paradise. Its elevated position also means that you do get snowfall in the winter months on the mountains and occasionally in Hogsback village itself. In July they even have what they call "Christmas in July" when the village usually buzzes with people relaxing over a long weekend around log fires. On our first morning in Hogsback we took a short drive down Oak Avenue which is just off the main high street. We parked and then set off through the Arboretum and up to The 39 Steps Falls. The leaves on the trees are turning beautiful colours and the walk up to the waterfalls is a gentle one. Look out for the huge Giant Redwoods dotted about in the forests. In the afternoon we took a drive out down Oak Avenue again but this time turned up Forest Drive and then stopped off to walk the hike up to the Kettlespout Falls. This is a longer hike and more strenuous up some steeper steps and inclines but the view is worth it when you reach the top. From the top you can see the waterfalls cascading down and enjoy the views that stretch for miles on a clear day. Later that day we drove out on the R345 to visit St Patrick on the Hill church which really is quite beautiful. From there we continued on past the Little Candle Factory and onto the Labyrinth - follow the signs for The Edge. Here we stopped and walked around the Labyrinth beofre enjoying a well earned coffee and cake in their cafe/restaurant. After a long day we returned home to enjoy a log fire and scrummy food. The next morning we sat out by our cottage enjoying the sunshine and views and then headed off down Wolf Ridge Road along a dirt track enjoying the views and then stopping off to have our picnic by the dam. Sadly it was now time to head for Port Alfred and we decided to take a different route home taking the dirt track route to Seymour and then onto Fort Beaufort. This route is recommended for 4x4 vehicles only as the roads are very rough in places and a good clearance is needed. All in all we had a very relaxing break in Hogsback and it is easy to see why many people from East London and Port Elizabeth visit here for weekend breaks. The air is clean and it is lovely and quiet a real getaway from suburban life. The picturesque village of Hogsback is approximately 1.5 hours from East London. You have read this article christmas in july / eastern cape / explore south africa / hiking trails / hogsback / tourist information / waterfalls / weekend getaway with the title . You can bookmark this page URL http://africathoughts.blogspot.com/2014/05/weekend-away-in-hogsback.html. Thanks! Tsitsikamma National Park is a popular national park found along the famous Garden Route of South Africa. The word "Tsitsikamma" actually translates from Khoi to mean "place of abundant and sparking water" and this is a very apt description of this area. The Tsitsikamma Forest is home to beautiful indigenous trees such as the Yellowwood, the Stinkwood amd the Ironwood to name just a few. The patch of coastline along the Tsitsikamma National Forest is rocky and wild and where the Storms River meets the Ocean is a must see spot. From here you can watch the huge waves crashing against the rocks or perhaps eat at the Tigers Eye restaurant that overlooks the river mouth. There is also a boat trip from here which takes you into the gorge itself or you can take the short walk along the Mouth Trail which leads up to Strandloper Cave and the suspension bridge and vantage point. The Tsitsikamma National Park is well served with places to stay such as Lodges or Log Cabins providing everything from luxury accommodation to self catering accommodation for those on a budget or travelling as a family or group. The area really is a haven of activities for everyone from Bungee jumping off the Bloukrans Bridge to canopy tours and ziplines through the forests. 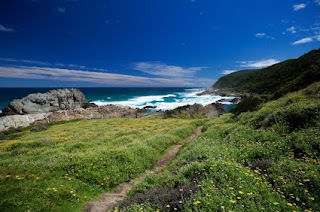 If trail walking is your thing then you must try the famous Otter Trail which is a spectacular hikng trail leading from Natures Valley to Storms River. T he Otter Trail hike takes you past hidden coves and caves along paths where sometimes you can feel the spray from the waves breaking. Keep an eye out to see for dolphins and whales which depending upon the season you may well see. Tsitsikamma National Forest is well worth a visit and you should set aside a day or 2 as part of your Garden Route trip. You have read this article eastern cape adventures / explore south africa / garden route / log cabins / tsitsikamma national park with the title . 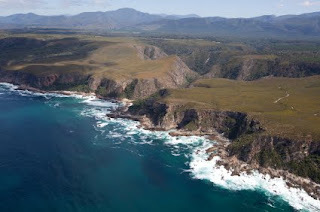 You can bookmark this page URL http://africathoughts.blogspot.com/2014/05/tsitsikamma-national-park-in-eastern.html. Thanks! South Africa's Western Cape Province is one of the most popular areas for tourists but with so much to see and do here the first thing you need to realise is that you are not going to see everything in one trip. So planning your trip is a necessary and vital aspect to your holiday. The Western Cape has many popular attractions such as the famous Garden Route, Cape Town and all its city attractions, the Cape Winelands, Route 62, Cape Point and Table Mountain. Planning your route and your accommodation for your holiday break in the Western Cape is important. Hiring a car to get you about is a must and remember the distances you will travel may well be further than you are used to so ensuring you get a comfortable and practical hire car is important. Small and cheap is not always the best idea. There are lots of lovely beaches around the Western Cape to enjoy and its a good idea to break up your sight-seeing with a few days spent relaxing on the golden sandy beaches. Areas near Cape Town such as Clifton, Camps Bay and Bloubergstrand have lots of guest house, self catering and hotel accommodation to choose from. The Cape Winelands are well worth spending a least a couple of days exploring with some wonderful wine estates and beautiful towns such as Franschhoek and Stellenbosch. If you are travelling with some friends then it is well worth staying in self catering accommodation and there are some fine places to stay at with pools to cool off in the warm evenings. You have read this article garden route / holiday south africa / south africa holiday / western cape / where to stay with the title . 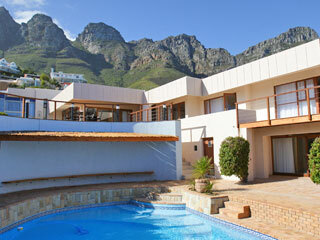 You can bookmark this page URL http://africathoughts.blogspot.com/2014/05/holiday-in-western-cape.html. Thanks! Coldplay are coming on tour to South Africa for the first time in October this year. They will be playing at Cape Town Stadium on October 5th and at the FNB Stadium in Johannesburg on October 8th. Coldplay have had a string of hit albums since the release of their album 'Parachutes' in 2000. Their latest album is described as a step in a new direction by Chris Martin and a change from their previous three albums. Coldplay have sold over 50 million albums worldwide and have won seven Grammy Awards, four MTV Video Music Awards as well as six Brit Awards. Tickets for these concerts are priced between R270 and R635 and will be available to purchase from Thursday 1th May at 02h00. You have read this article cape town events / coldplay / johannesburg concerts / south africa concerts / where to stay with the title . You can bookmark this page URL http://africathoughts.blogspot.com/2014/05/coldplay-coming-to-south-africa-in.html. Thanks! This Sunday the KwaZulu-Natal Economic Development and Tourism MEC Mike Mabuyakhulu announced that King Shaka International Airport in Durban is to get direct flights to London Gatwick Airport and across Africa as part of a new strategic deal with Dube TradePort and South Africa's biggest privately owned airline Comair. Although the plans are only at the initial stages it is hoped that they will start with three flights a week to London Gatwick which presently does not serve South Africa. London Gatwick Airport is located to the south of London and has a fast train service from within the airport directly into the centre of London. You have read this article durban flights / durban to london flights / south africa to uk flights / south africa travel with the title . You can bookmark this page URL http://africathoughts.blogspot.com/2014/05/flights-from-durban-to-london.html. Thanks!